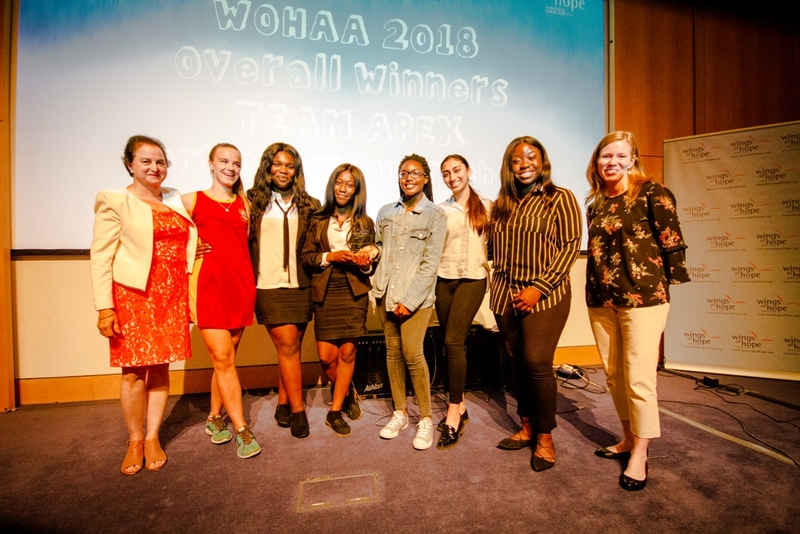 Thursday 28th June saw the final event in the WOHAA calendar – our Annual Awards Ceremony to recognise and reward student participants in WOHAA. 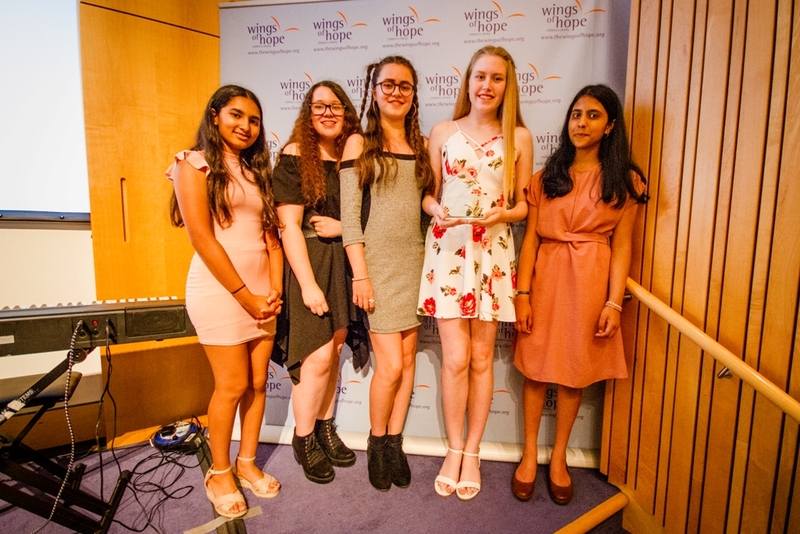 In the twelfth year of WOHAA, over 32,000 students have now taken part, and nearly 250 guests were in attendance to celebrate with us. 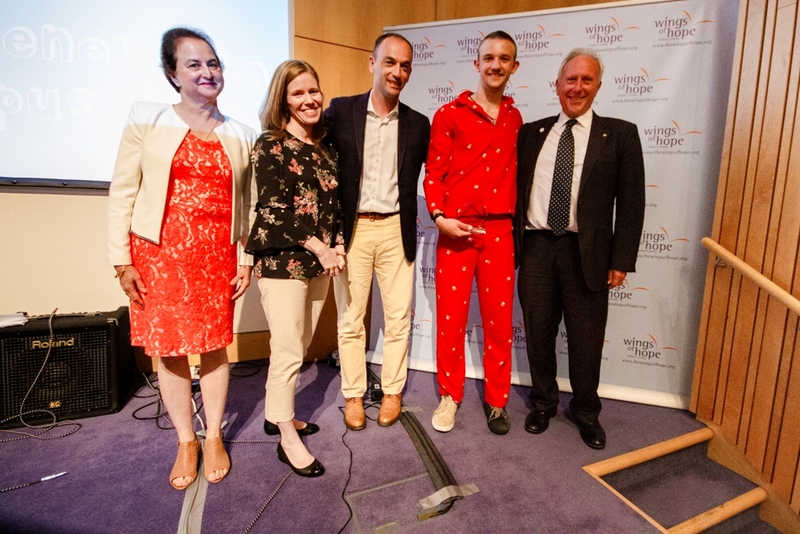 The Royal College of Obstetricians and Gynaecologists played host to this fantastic evening, which was filled with student performances of music, poetry, and even some juggling! 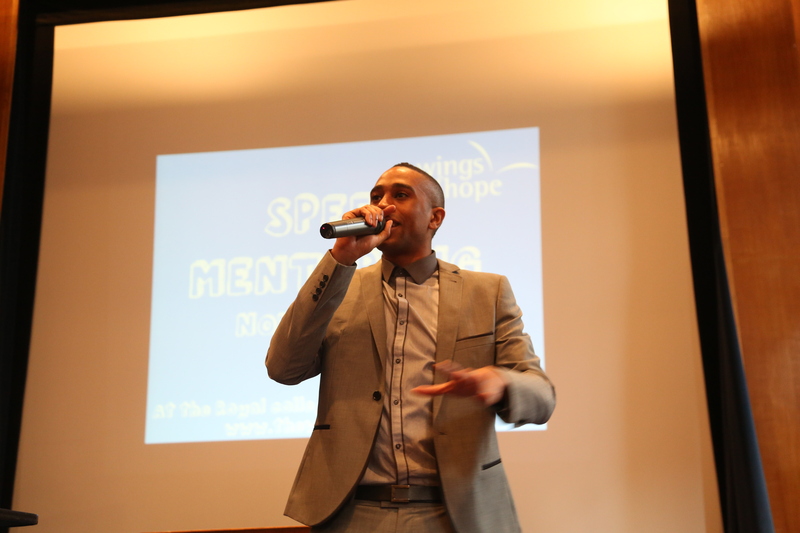 Our fantastic guest host AJ King – DJ and radio presenter – spoke about his own experiences working with young people, and the importance of planting seeds of encouragement for change to continue. 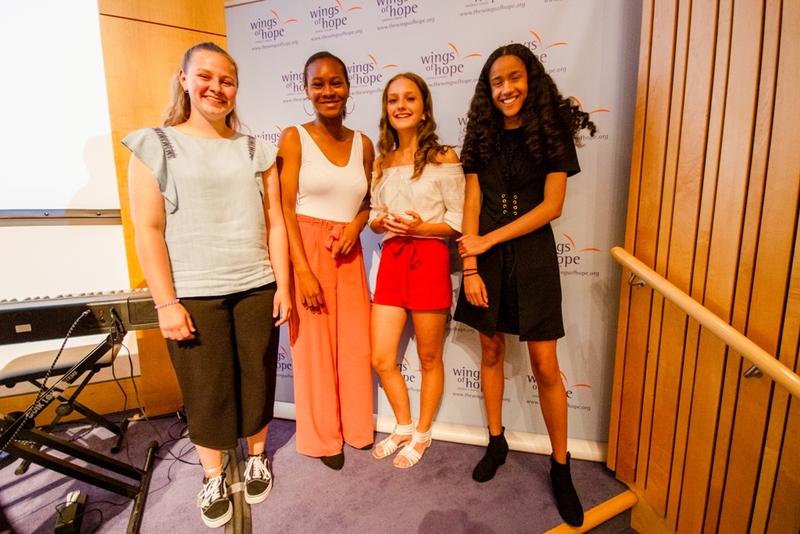 We had wonderful musical performances of student talent, including Ran Mitani on the piano, and the country band from Dwight School London, as well as Beekay Sanyaolu from Dartford Grammar with a moving rendition of the Emmeli Sande version of John Lennon’s classic ‘Imagine’. 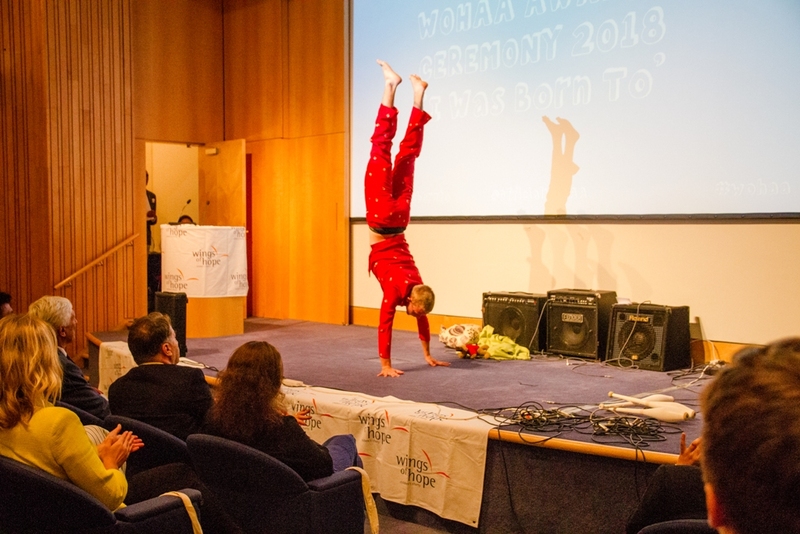 The audience was also treated to a more unusual performance of a circus act from Atticus Menders, a student from the International School of Geneva, and competing in WOHAA 2017-18 as part of team InterHOPE. Atticus showcased his juggling skills and his ability to backflip at any given moment, and made one of the most unique performances at an Awards Ceremony so far! 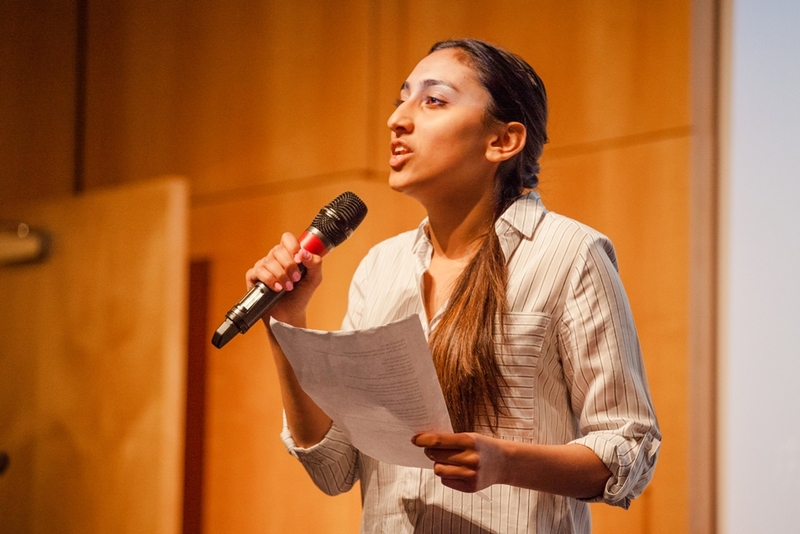 Another standout moment was Shaan Ghag, Darford Grammar, who performed her own spoken word piece ‘Education is the Key’. This was a powerful expression of injustice in education across the world and a moving call to action from such a young voice. 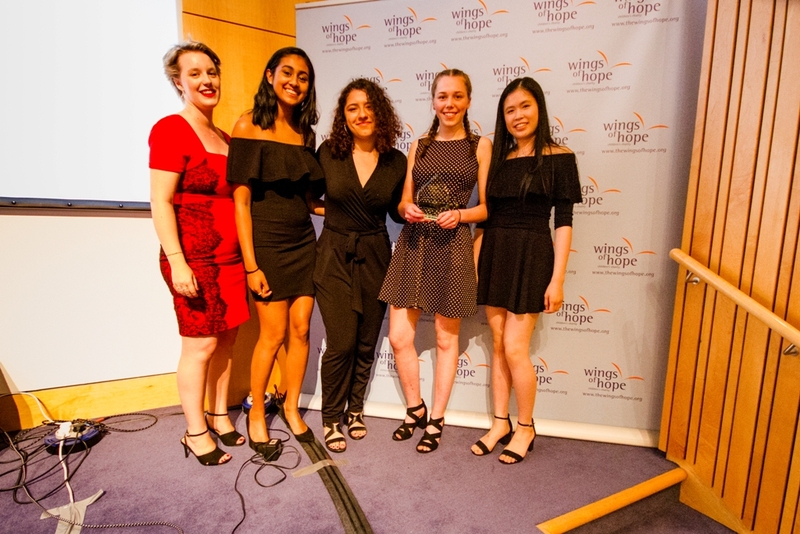 In December 2017, the overall WOHAA winners for 2016-17 Team Oak, travelled to Chennai for what would be an unforgettable experience of teaching and culture. They were in for a surprise this year as the 2015-16 overallwinning team,EduNation,would also be joining them! 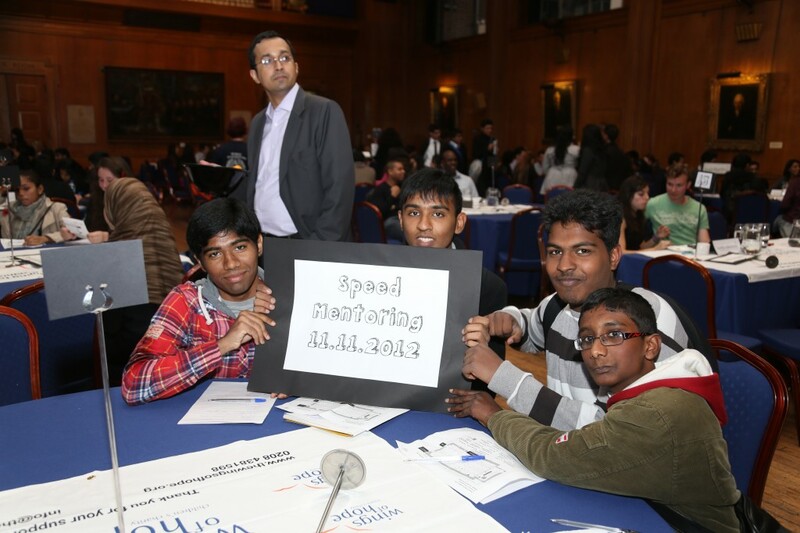 Inthe long journey from the UK to Chennai via Delhi, the teams were looking forward not only to meeting and teaching the students in Chennai, but also to learning from them and their unique experience. 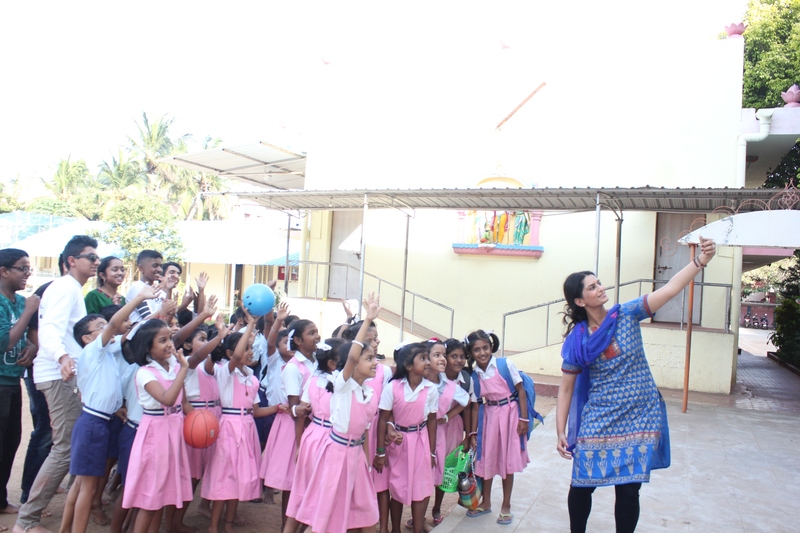 Day 1:The teamswere given a tour around the school, and were immediately captivated by the grounds on which it lay. 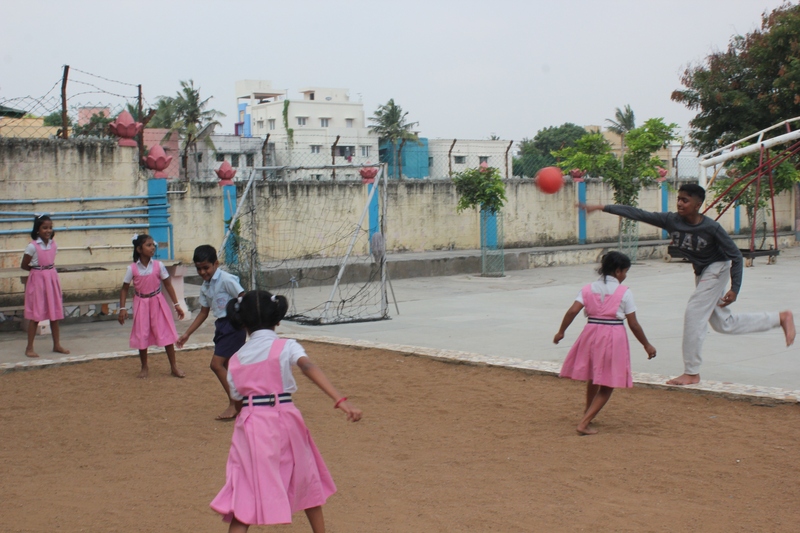 Both teams immediately noticedthe school’s focus on positivityand the harmonious environment this fostered. 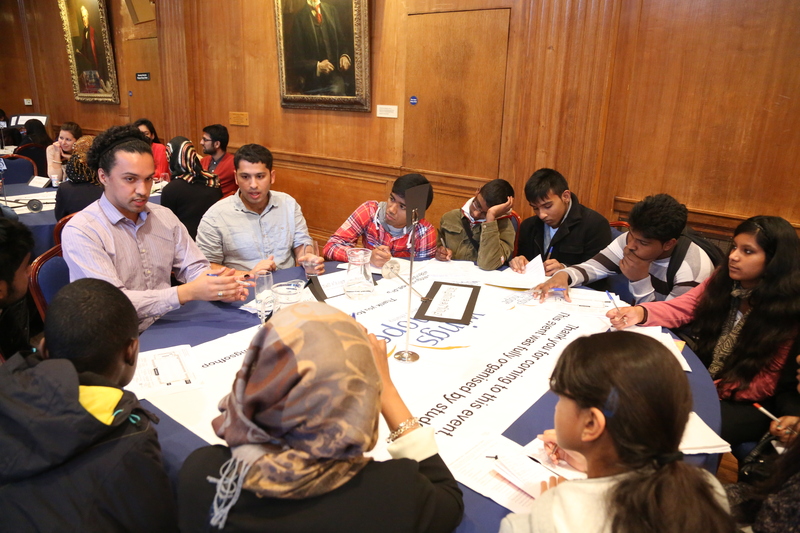 Following the tour, they were given the opportunity to jump straight into teaching, which they had prepared for and thoroughly enjoyed. 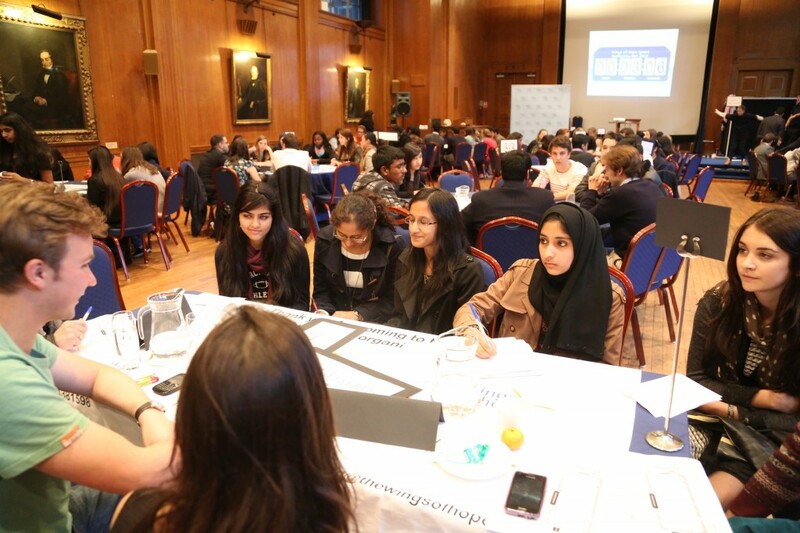 Day 2:The first full day of teaching was met with excitement; as well as teaching curriculum subjects like Maths, and Biology,EduNation and Oak involved themselves in the students’ games sessions. 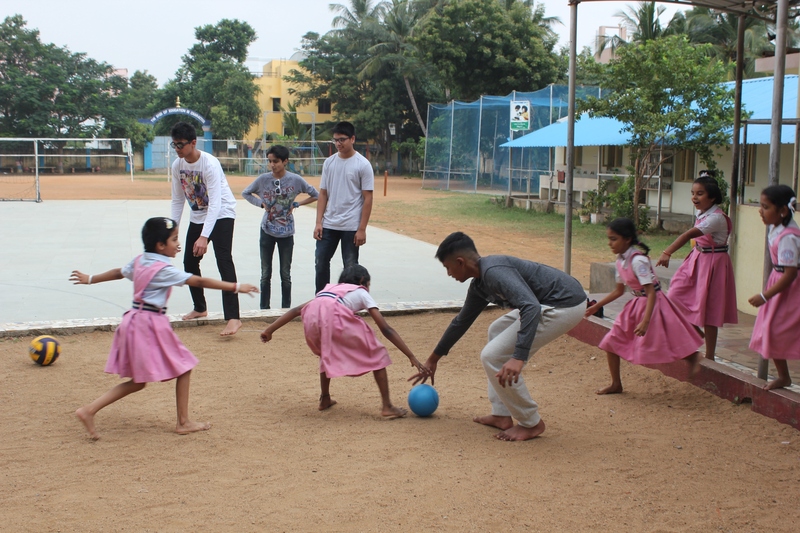 As in everything else, theChennai studentsexcelled at sports, and our teams also learnt some new games along the way! 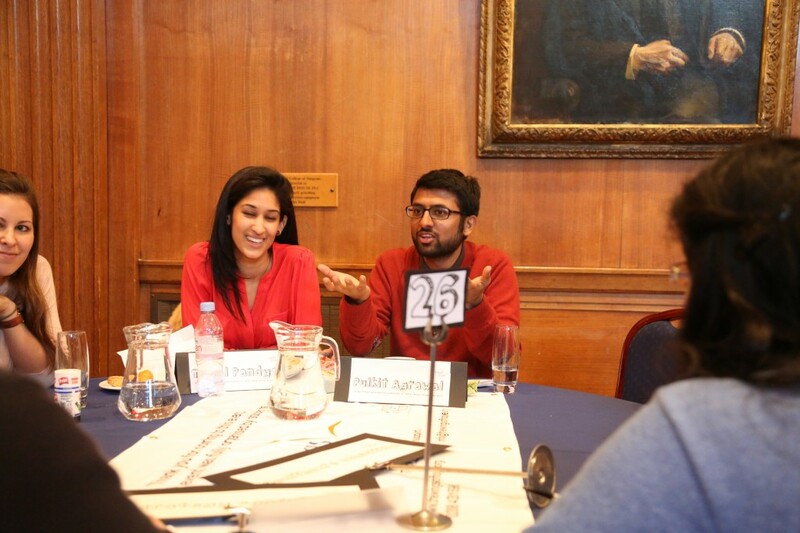 Day 3:This day involved a mixture of teaching and absorbing culture for the teams. 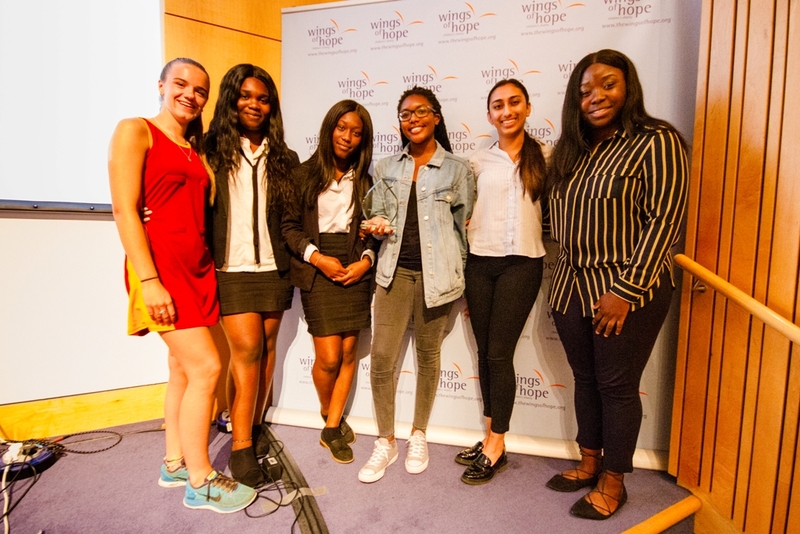 They met the Headmistressof the school as well as other key staff members, gaining an insight into the hard work that goes into running the school at its current high standard. 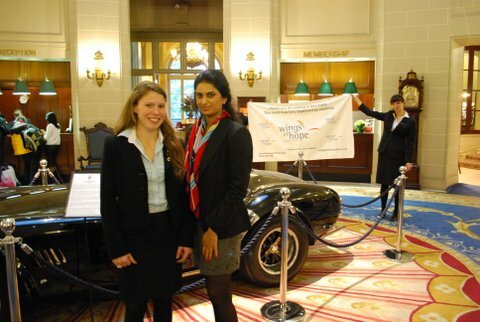 Afterwards, they began to explore the vast culture and architecture of India. They saw extravagant temples, amongst other things, and were astounded at the amount that India had to offer- much more than they had previously imagined. Day 4:This was our teams’ final day at the school, and they spent the morning teaching and talking to their newfound friends, making sure that theywould keep in touch in the future. 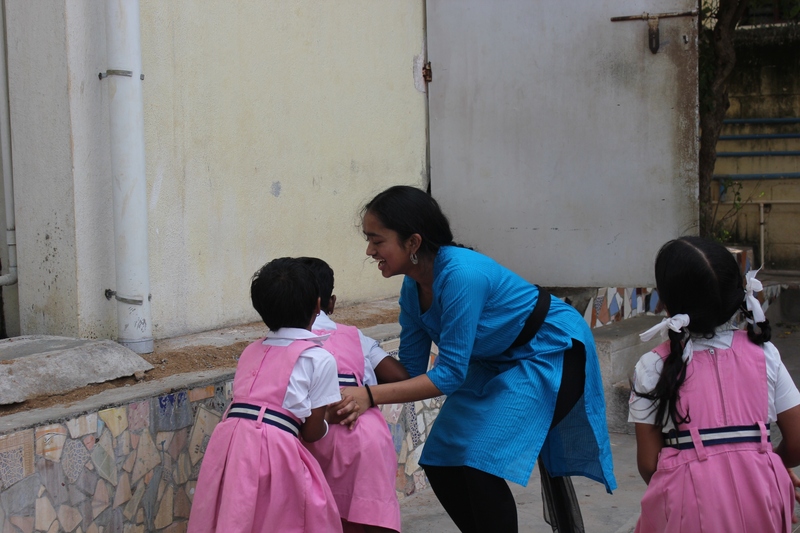 The Chennai students had organised a cultural show to display the talents of themselves and our volunteers. The students blew our teams away with performances ranging from the fine arts to unbelievable feats in yoga. 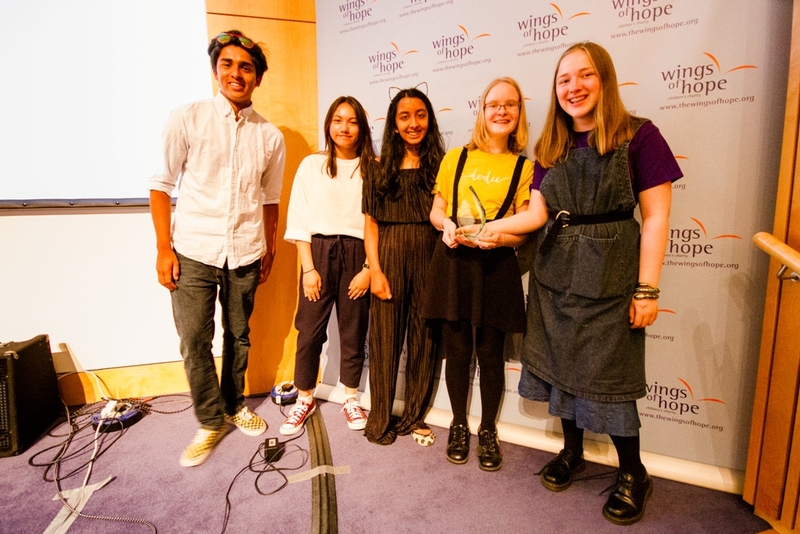 Our teams were presented with gifts at the end of the show to express the students’ gratitude for the time they had spent at their school, and engaging in every aspect of school life. 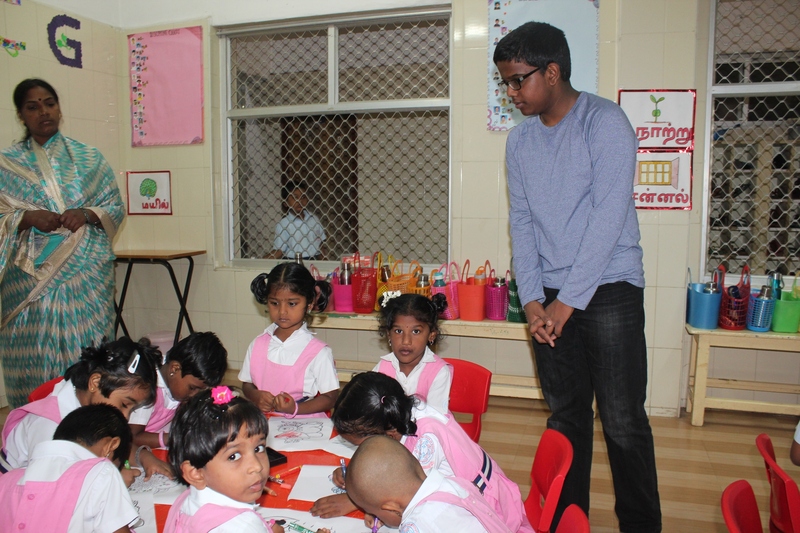 It really was an experience that the volunteers will cherish throughout their lives. 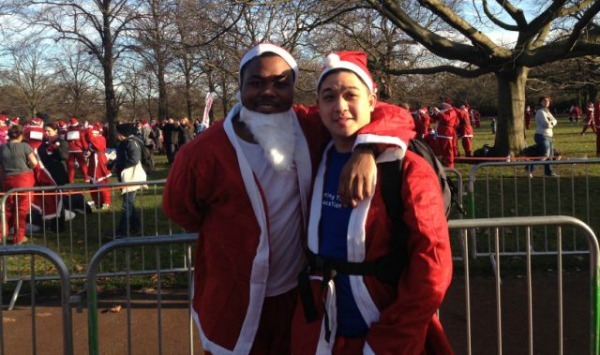 On Sunday 9th December 2012 Kwok and Selasi from Barclays ran the annual Santa Fun Run to raise money for Wings of Hope. 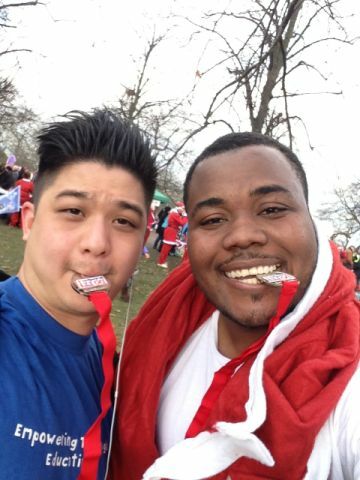 The run took place in Greenwich Park, one of the largest parks on London area,a beautiful setting for the event. 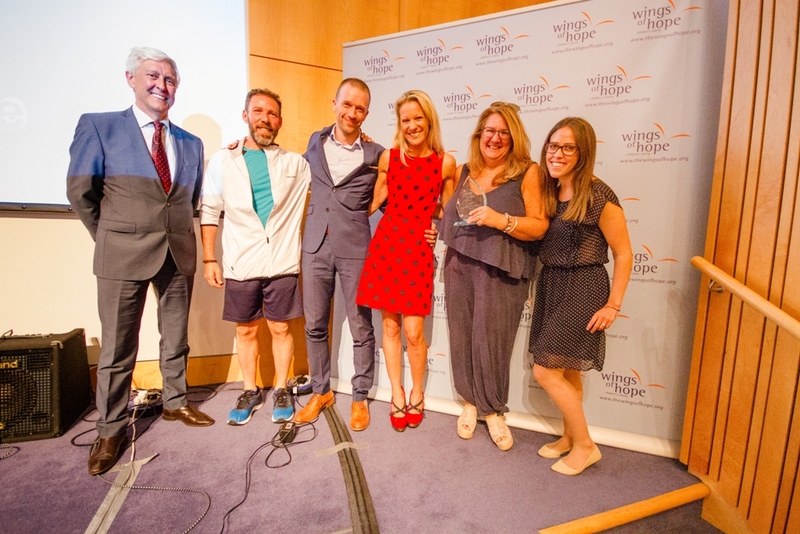 Wings of Hope would like to thank everyone who ran to raise money for poor and underprivileged children in India and Malawi. 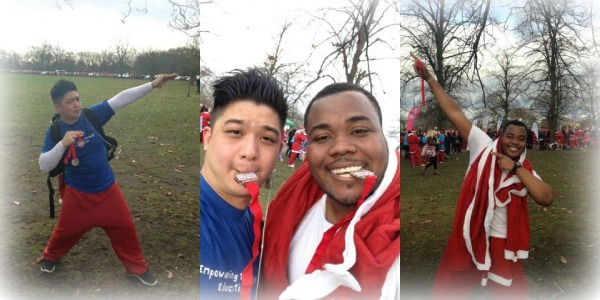 Spirits were high on the chilly December morning as over 2,000 people gathered in Greenwich Park. Santa costumes were provided by Doitforcharity to all the runners. 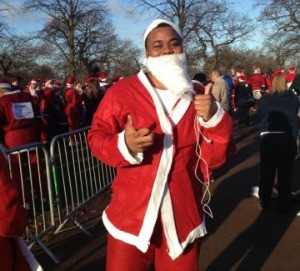 The annual Santa Run raises money for hundreds of different charities, as well as awareness for special causes. 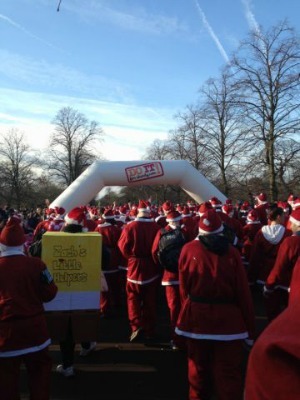 It was great fun and watching hundreds of Santas running, walking and skipping around the park was certainly a memorable sight! 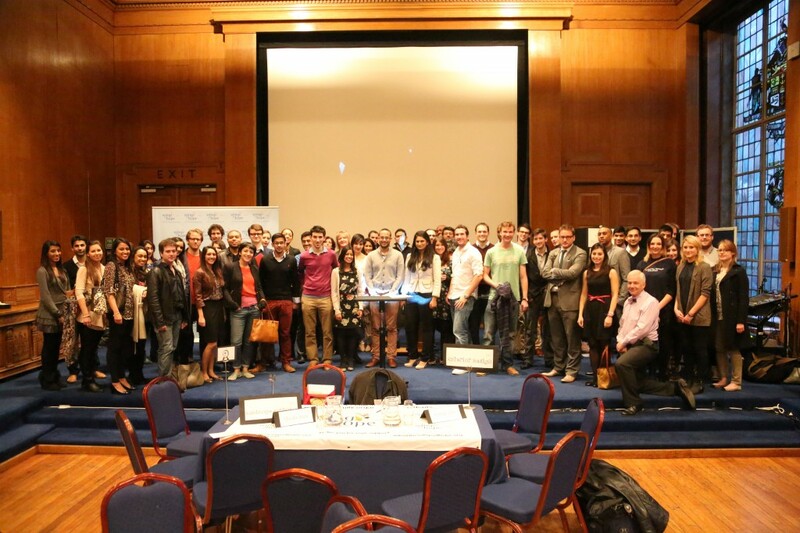 A big thank you top everyone involved! 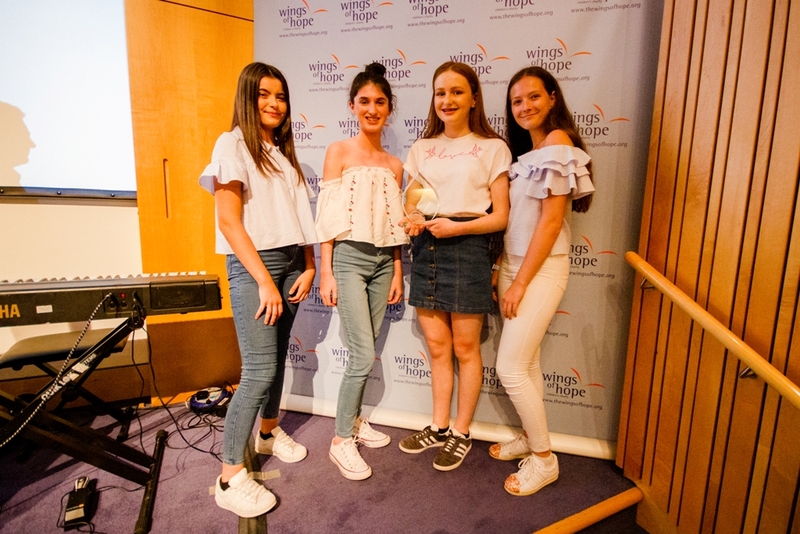 There are lots of ways you can get involved in fundraising for Wings of Hope whether at school, in the office or at one of our organised events.  Please visit our events page. On Friday 16th November 2012 WOHAA winners Team Aquila took up Her Majesty’s kind invitation to attend Buckingham Palace to personally present a Diamond Jubilee card and mementos from their home town of Malvern to celebrate the occasion. 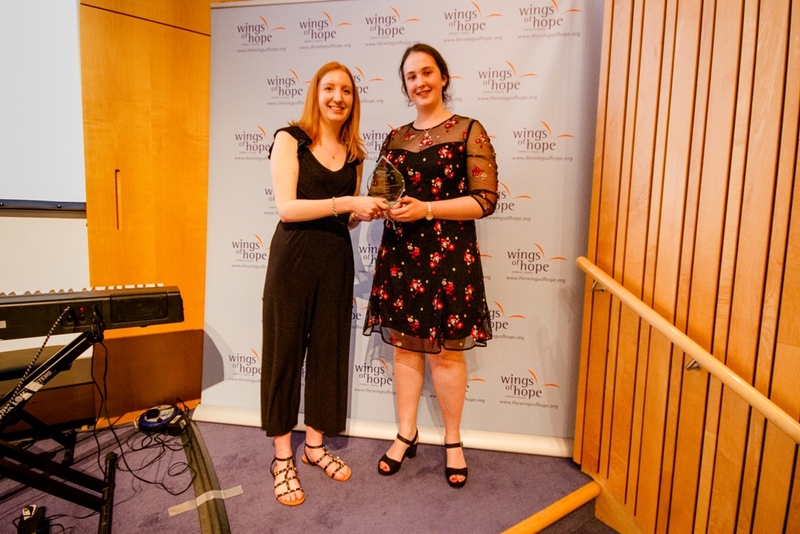 The Sixth Form students, Alice Quinn, Holly Makin, Rebecca Connell, Rebecca Raby-Smith, Jess Coulman and Amy Cooke – collectively known as team ‘Aquila’ – are from Malvern College and had been fundraising for the Wings of Hope charity through a fundraising competition, ‘The Wings of Hope Achievement Awards’ (WOHAA). 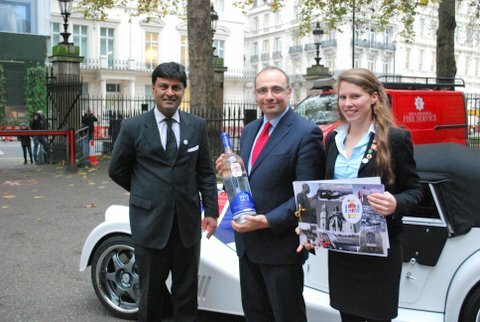 Team leader Rebecca Raby-Smith was elected by her team mates to deliver the A3 sized signed card and a unique jeroboam of Hollywell Malvern Spring Water, both arriving in a Morgan car, to Her Majesty. 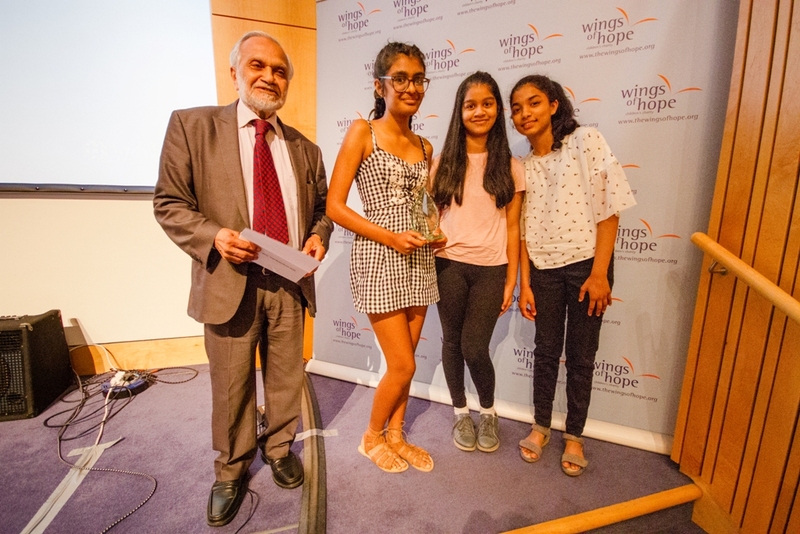 Wings of Hope Co-founder, Dr Sri Ram, and Smruti Sriram, the creator of WOHAA, were also in attendance. 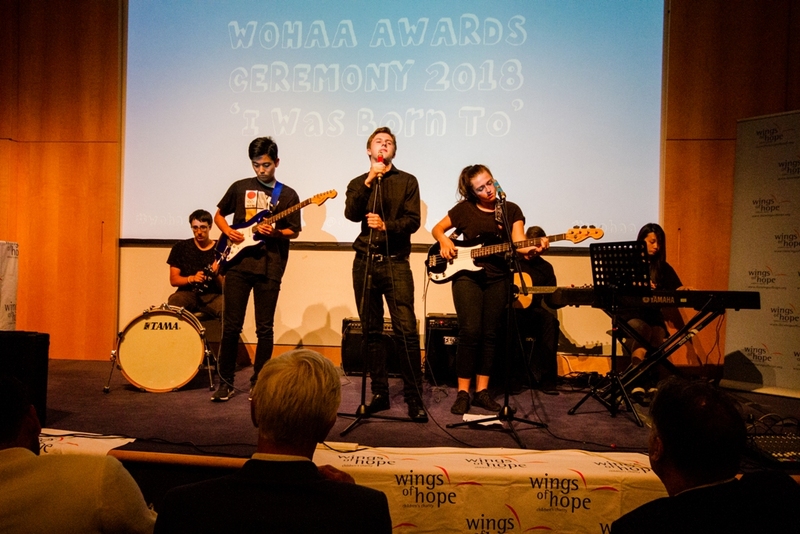 Team Aquila took part in WOHAA 2011/12 by conducting a range of fund and awareness raising activities. 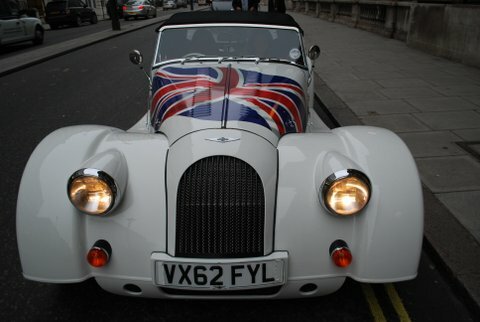 They participated in ‘Santa’ and mud runs, donated profits from a baby-sitting service and sold Wings of Hope wrist bands, as well as conducting the Diamond Jubilee project. 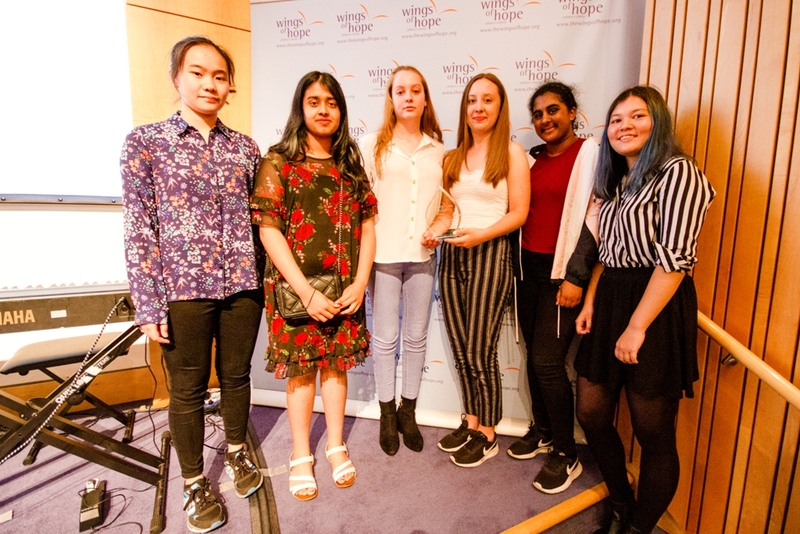 Their Jubilee work involved the students organising for their fellow students and members of the local community to sign a card for Her Majesty, gathering over 2,000 signatures in total. 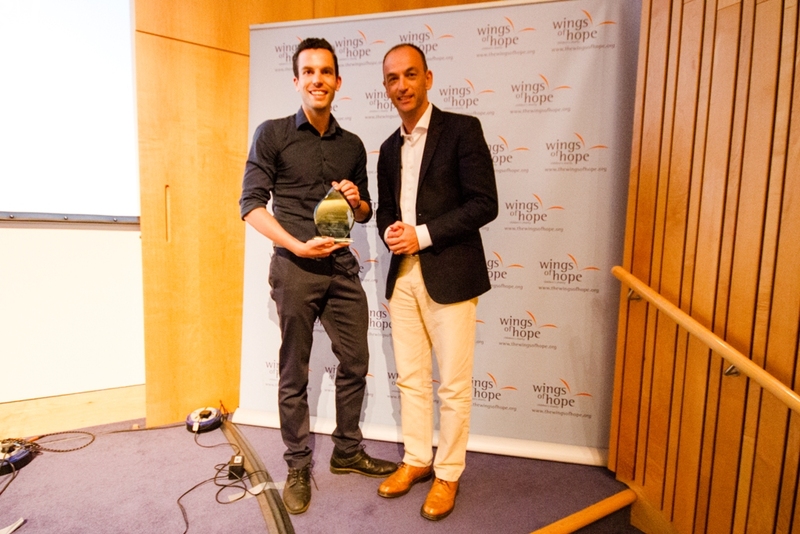 To achieve this they managed to secure a table in a local supermarket foyer, collecting signatures for the card and donations for the Wings of Hope at the same time. They also convinced a designer to help them create the card and a local printing company to sponsor its production. 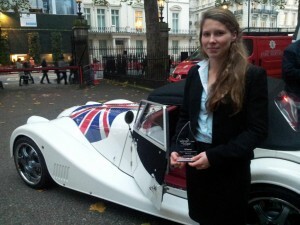 Most impressive of all, they approached Morgan Motor Company and Holywell Malvern Spring Water – both being institutions synonymous with their hometown of Malvern – who donated a car to be used for the presentation and a specially-designed bottled gift, respectively. 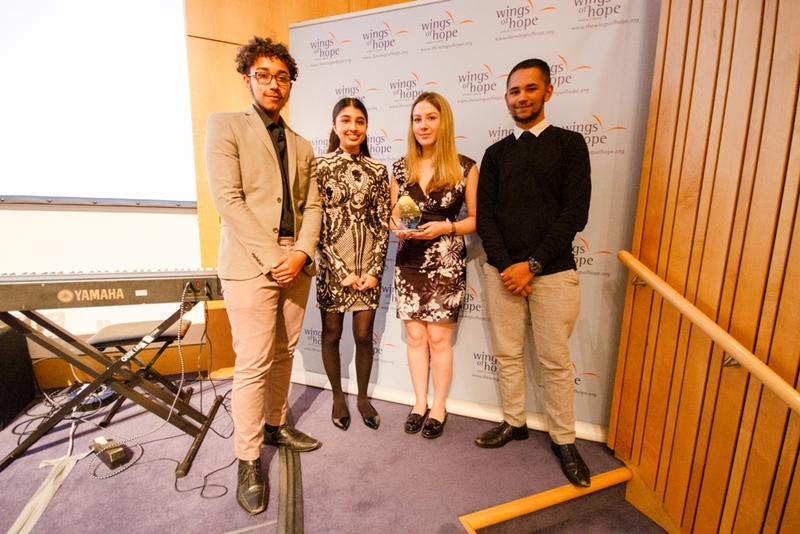 The team’s effort and dedication were outstanding and their commitment meant that they won ‘The Most Awareness Raised’ Award through WOHAA. 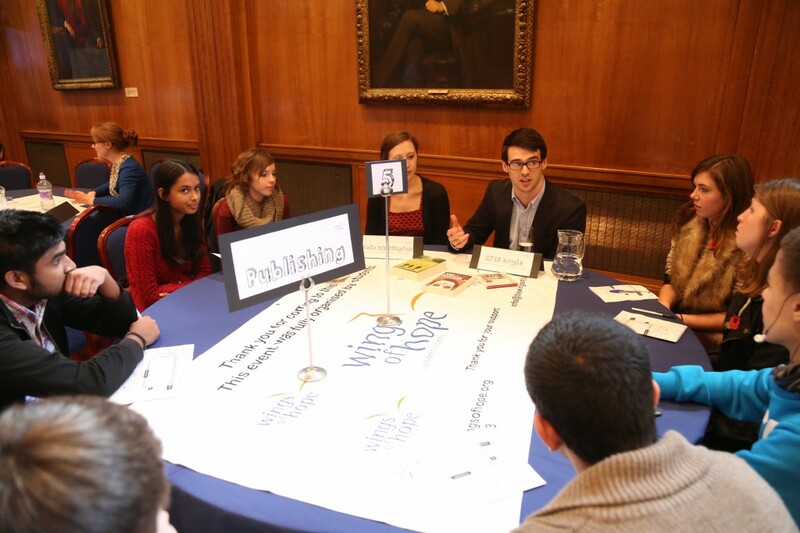 On Sunday 11th  November 2012 young professionals, students and teachers from across the country gathered at the Royal College of Surgeons in Holborn for an afternoon of innovative ‘speed mentoring’. 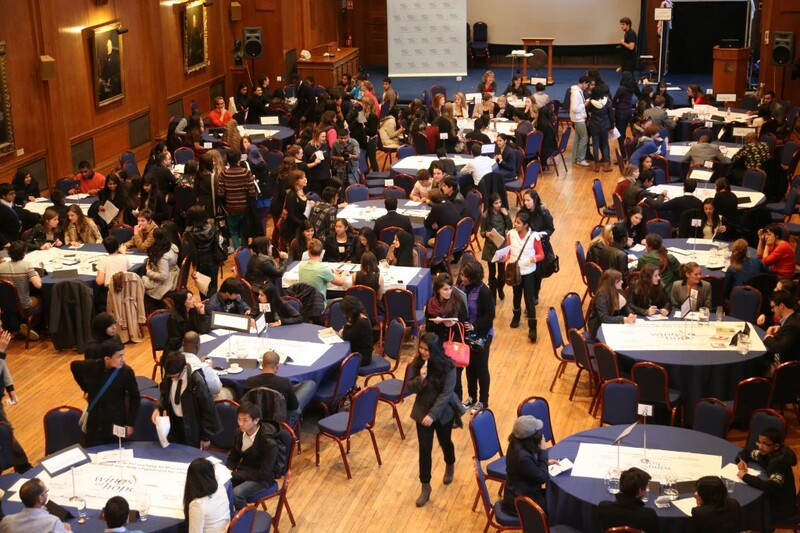 60 young professionals from over 50 top firms and industries came to offer advice and guidance to secondary school students, this was a careers event like no other. 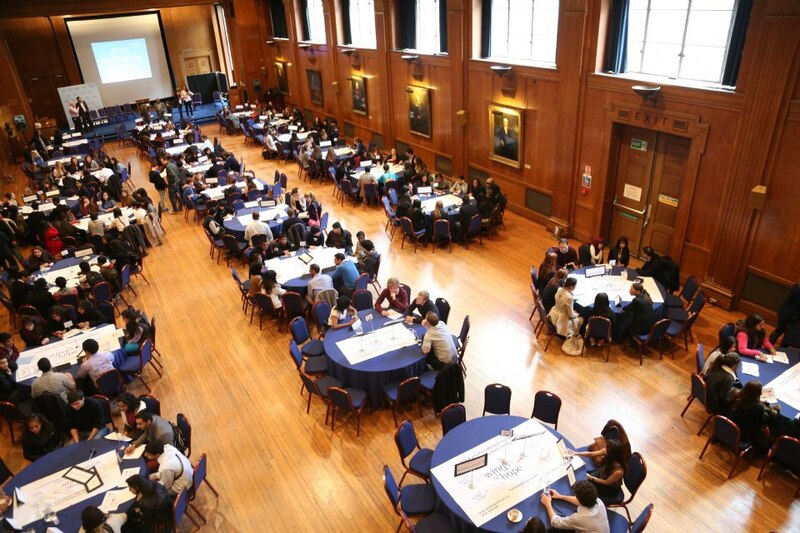 The concept of speed mentoring is a fast-paced format which ensured that students moved from table to table in ten minute slots. 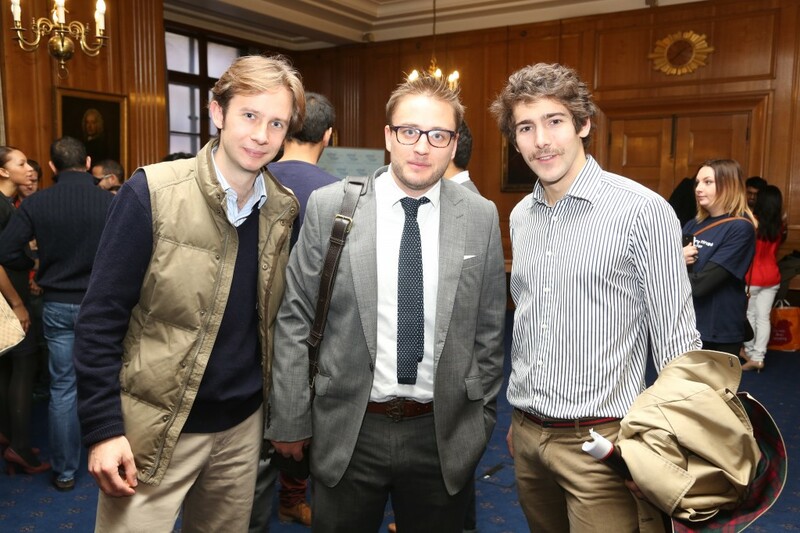 The format allowed students direct interactive advice and guidance from young professionals across numerous industries. The event, Speed Mentoring: The World of Work – The Next Generation was free for students to attend, offering them a unique chance to explore a range of different professions including Banking, Law, Accountancy, Fashion, PR, Event Management, Acting, DJ’ing, Pharmacy, Sustainability, Music Production, Engineering, Dancing, Venture Capital, Veterinary Medicine, Interior Design, Medicine and Publishing, with one-to-one professional guidance over a two hour period. 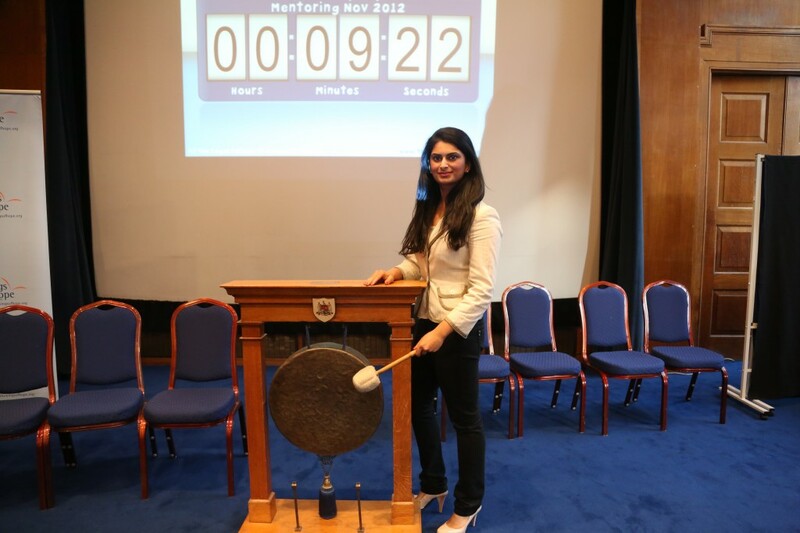 – Smruti, Head of the Professionals’ Network and event organiser. 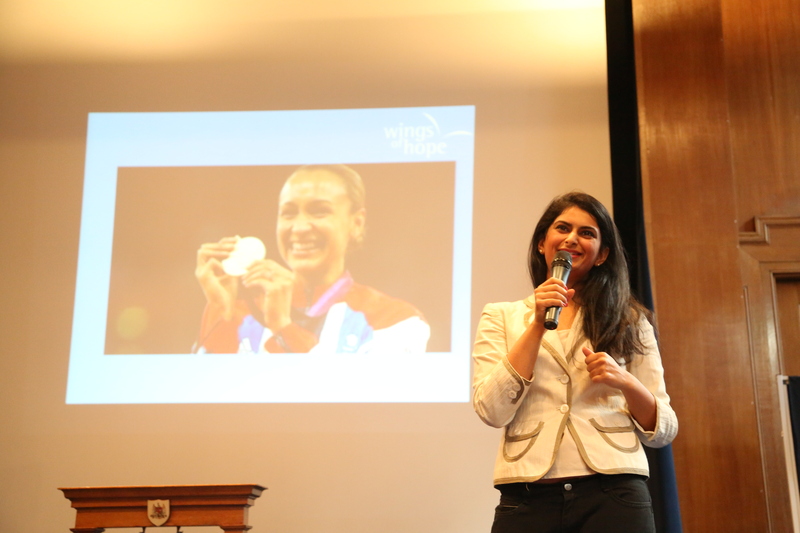 Smruti welcomes the attendees with an inspiring speech about the future world of work – “The Wings of Hope is proud to host events like today’s, giving students the chance to embrace aspirations and encourage ambition”. 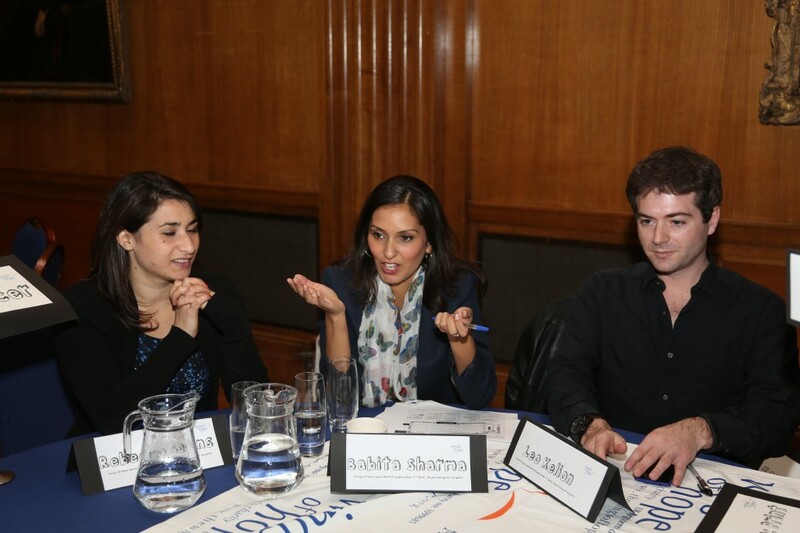 Mentors give practical about industries, organisations and careers. 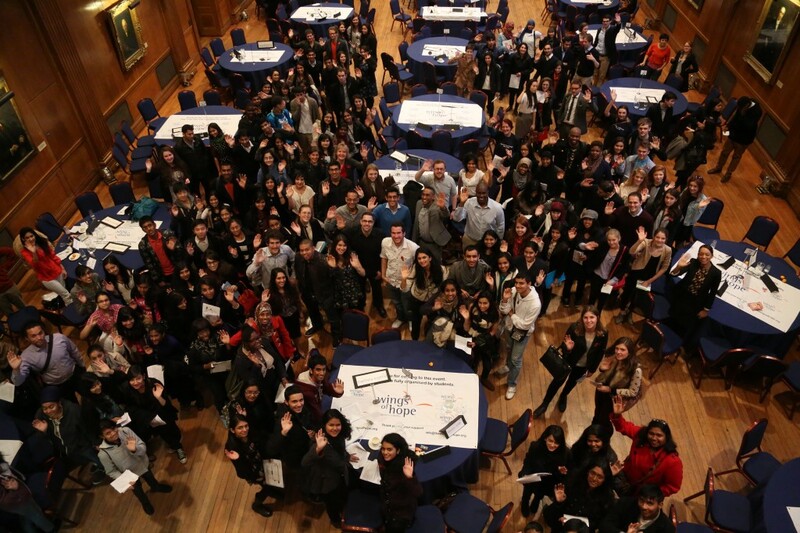 Inspiring students to do what they did and aim high when planning and making important decisions about their futures. 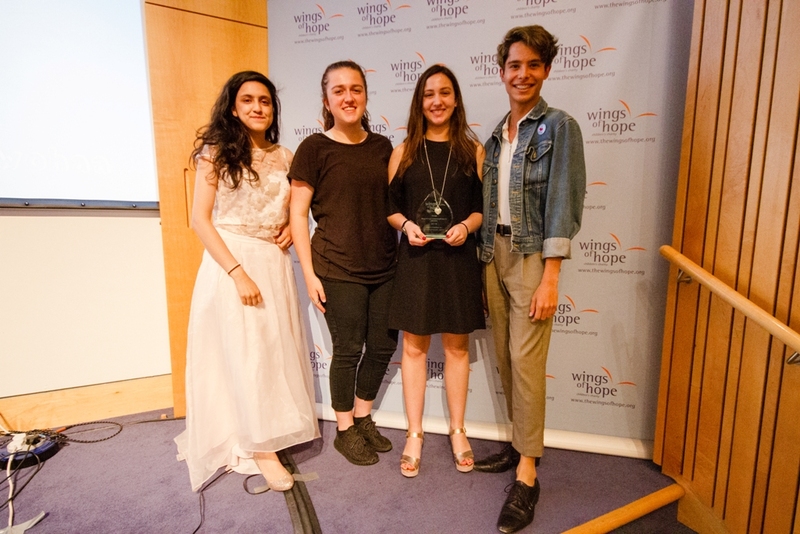 The Wings of Hope would like to thank the group of amazing young mentors who made this event such a success!  You can find full listings of all the mentors here. 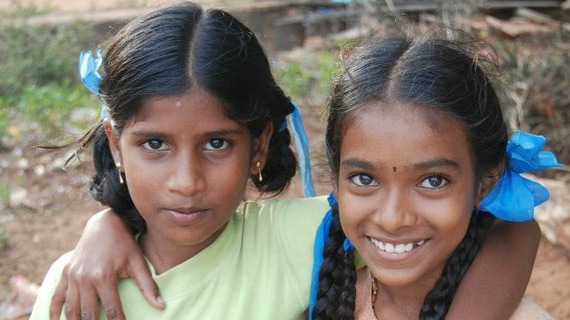 The Wing of Hope Achievement Award winners of 2011 have just returned from a fantastic trip of a lifetime to Chennai in Southern India. 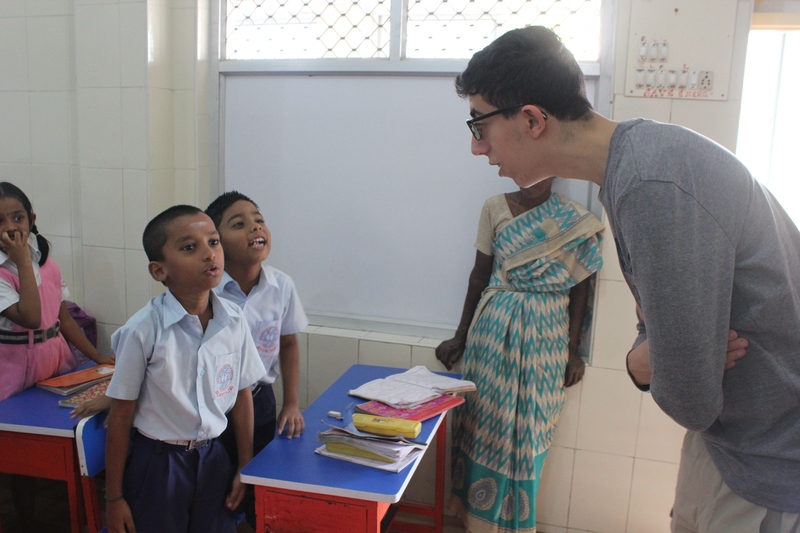 This year two teams took the trip to India; team ‘Evolution’ consisting of 3 boys from 3 schools (ACS International School, Haberdashers’ Aske’s Boys’ School and Merchant Taylor’s School) and Team ‘Light Side of the Moon’ made of 6 boys from Haberdashers’ Aske’s Boys’ School in London. 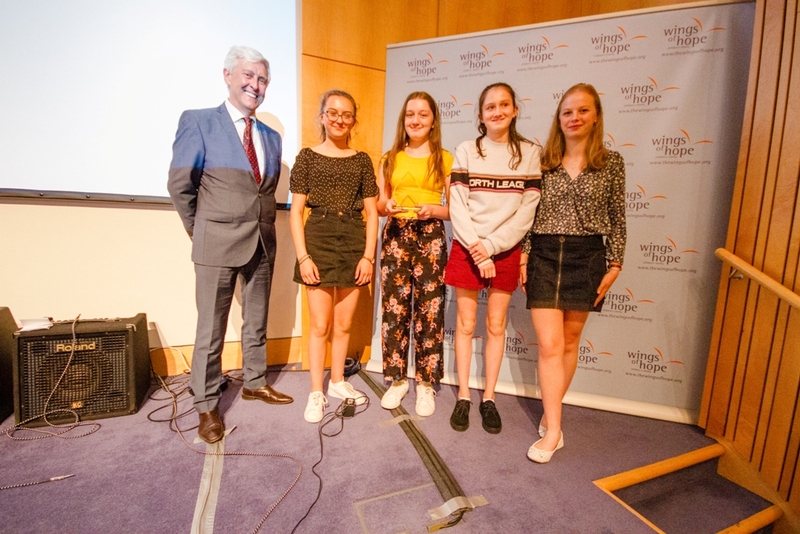 Team Evolution’s award winning ideas included a dinner dance and fashion show, trick or treating, snow shovelling and tutoring to name a few! Light Side of the Moon organised a dinner dance, walked 15 miles in shorts, socks and sandles, and, if that wasn’t enough walking, they were also sponsored to walk on broken glass! Shivankit Hora, Karan Gupta and Amar Sehgal from team Evolution jetted off with Anand Dhamecha, Rikin Shah, Paras Shah, Rohit Bhatia, Tej Malde and Vishaal Patel from Light Side of the Moon to Chennai in August. 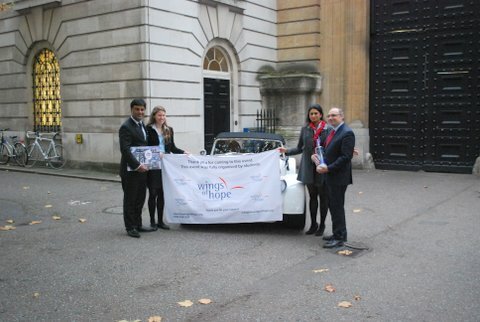 They were accompanied with the co-founders of Wings of Hope, Mrs Rajni Sriram and Dr Sri Ram. 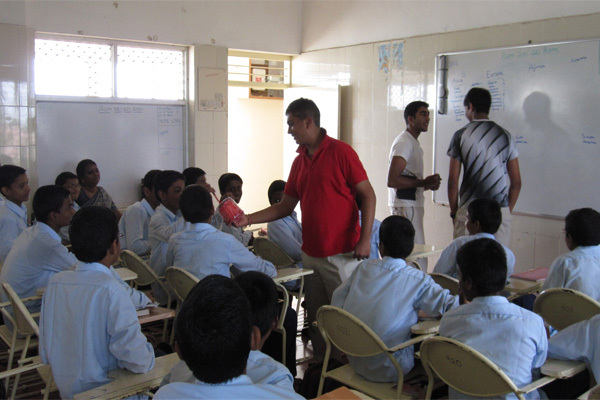 The boys had the chance to teach India children about life in London and Britain, showing them pictures from books and personal photographs. The boys taught students of all ages and their classes were packed with fun and entertaining activities for the children, as the boys designed and lead lessons themselves. 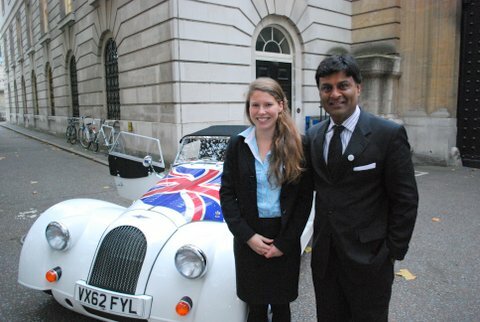 In Chennai the Boys were very privileged to meet the Deputy High Commissioner of Britain, Mr. Mike Nithavrianakis, for Tea! 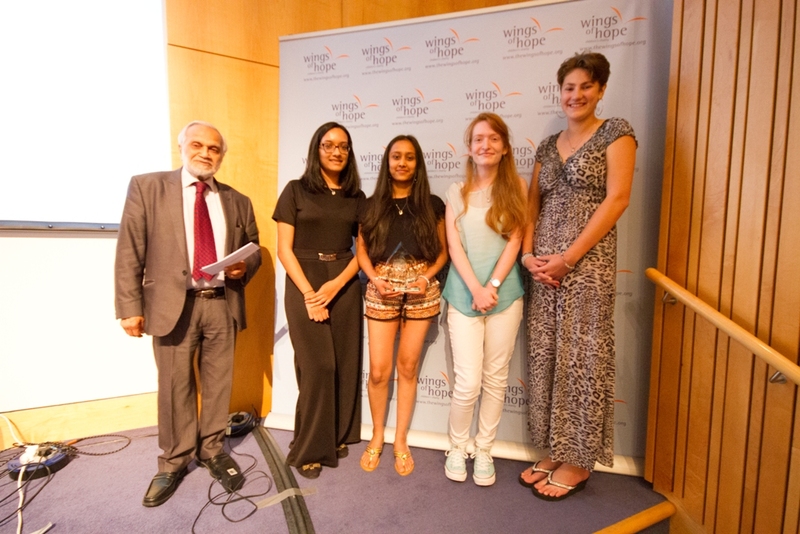 The Deputy High Commissioner was very impressed by their achievements and gave them the benefits of working for and linking up with India as it is an up and coming country with a lot of scope for the future. Whilst in Delhi, the Boys once again had the opportunity to meet the Minister from the Ministry of Indian Overseas. Once again a huge array of refreshments were provided and the opportunity for a photo shoot. 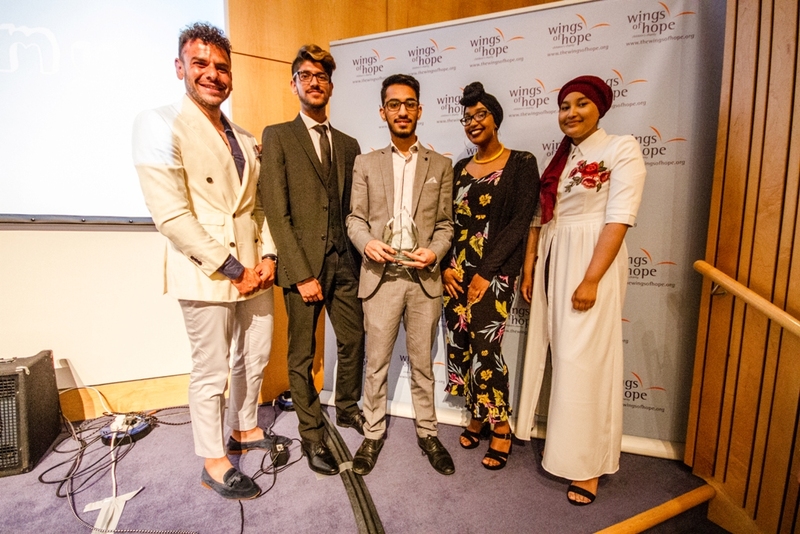 It's a fantastic initiative & it was an honour to be with such distinguished supporters of the charity at the semi-finals & an even greater honour to see the work of the young members of our community — Clarke Carlisle, Chairman, Professional Footballers' Association.